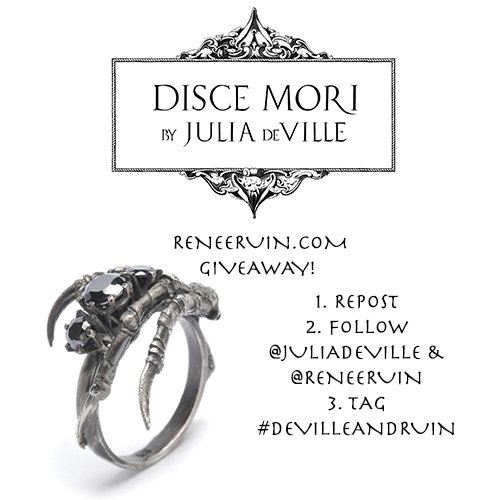 www.reneeruin.com: Julia deVille X reneeruin.com Instagram Giveaway! Julia deVille X reneeruin.com Instagram Giveaway! I am very excited to announce reneeruin.com has paired up with the amazing Australian artist & Jeweller Julia deVille to bring you this amazing Instagram GIVEAWAY! The Julia deVille silver claw ring featuring 3 gorgeous sapphires.